Looking for efficient auto service with a fast turnaround near Regina, Saskatoon, and Swift Current? The Quick Lane Tire & Auto Centre at Knight Ford has been made for you. What is Quick Lane Tire & Auto Centre? As you might have guessed, the Quick Lane Tire and Auto Centre is all about instant attention. 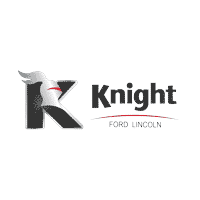 You can roll up at Knight Ford today and have an experienced team of technicians perform anything from an oil change to a general inspection. A view into the service bays means that you can see what is being done while you wait, and the fast service that you can enjoy doesn’t even require an appointment. If you’re in the area and you need us, come on in. We can even handle any make and model, so don’t fret if you’re not driving a Ford! What Can Quick Lane Do For You? Vehicle Checkup: We’ll check your car’s key components and systems from top to bottom. Tires: Whether you’re looking for a rotation, an inspection, or a replacement set, we’re on hand to help. Oil Change and Essential Maintenance: Filter and oil changes help your vehicle run better and run longer. Brake Service: Let us take a peek at your brakes to make sure they’re providing proper stopping power. Batteries: Stop by for a battery test to ensure that you’re is up to the task. Belts & Hoses: Worn or broken hoses can bring you to a standstill, so we’ll inspect them all. Wiper Blades: Wiper blades can be affected by age and weather. We have quality replacements on hand if you need them. Lamps & Bulbs: Visibility is vital, so let us replace your burned-out lights in a flash. Alternators & Electrical Service: The alternator supplies electricity and recharges your battery, so it’s important to keep yours from failing. Alignments: Several things can throw your wheels out of alignment, but we’ll get them sorted. Transmissions: Transmissions can get clogged or worn. Our experts will perform the maintenance necessary to keep them operating smoothly. Suspension and Steering: These components keep your ride controlled and comfortable, so make sure they’re functioning properly. Does your vehicle require attention without an appointment? That’s why Quick Lane is here! To learn more, just drop by Knight Ford today.